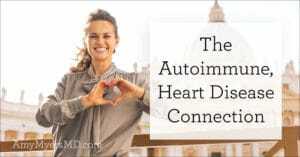 Last week, I wrote about the link between autoimmunity and cardiovascular disease (CVD). 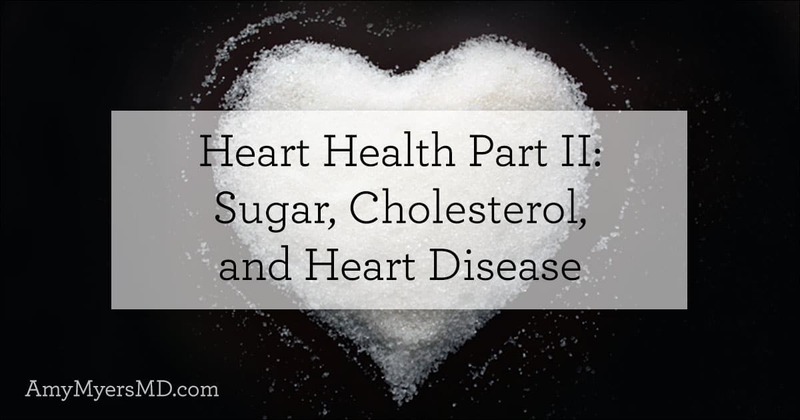 This week, I want to talk about how sugar and cholesterol factor into the equation, and the most helpful tests for determining your risk for heart disease. For many years dietary guidelines have demonized fat and cholesterol, promoting a diet lower in fat and higher in carbohydrates, which are often high in sugar. 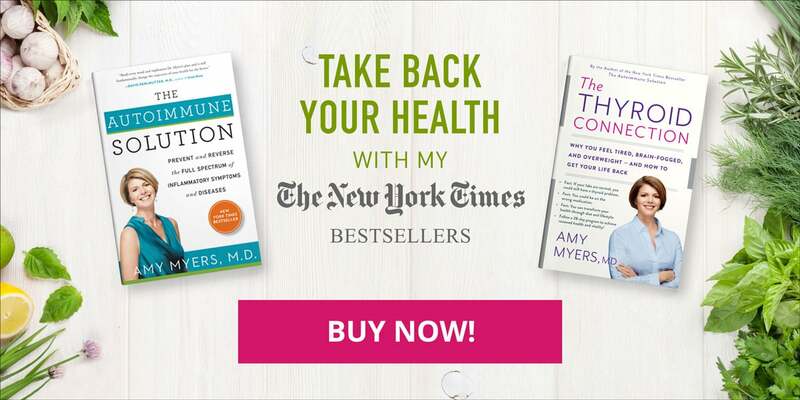 However, if you were lucky enough to listen to the Fat Summit hosted by Dr. Mark Hyman, you should now have a pretty good understanding of why these recommendations have now flipped, and sugar is the new fat. So what’s the deal with sugar? Sugar comes from our diet through a variety of foods and is one of the body’s primary fuel sources for energy. Many people have a false understanding of how they get too much sugar in their diet thinking it only comes from candy, soda, and sweets. Although these are often times major contributors to the problem, people don’t realize that carbohydrates from foods like breads, pastas, alcohol, fruits and even certain vegetables can also be converted by the body into sugar. Sugar does play a necessary role in your body, cells depend on a balance of sugar and carbohydrates from healthy dietary sources to function. However, most Americans consume an excessive amount of sugar, to the tune of an average 20 teaspoons of sugar a day! Your body is pretty resilient and will make adjustments for a short period of time to compensate for poor dietary habits, typically by packing sugars away as stored fat. Eventually these mechanisms are not enough, and people become insulin resistant and move down the path towards diabetes. Insulin resistance and elevated blood sugar is associated with increased blood clotting, inflammation, oxidative stress, problematic cholesterol particles, and endothelial dysfunction all of which contribute to CVD. 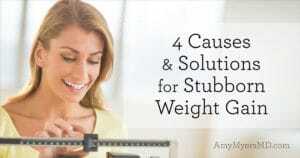 The point is, elevated blood sugar and insulin resistance is a major problem in our society. If you are determined to reduce your risks of developing CVD complications, minimizing your sugar intake needs to be a priority. Out of all the topics related to cardiovascular disease, this is by far one of the most controversial and confusing. So what is cholesterol and does it matter? Cholesterol is a soft waxy substance that is manufactured in the body primarily by the liver. It also comes from dietary sources, specifically animal products such as meat and dairy. Although cholesterol has been criticized for many years as being a primary culprit of CVD, it is a substance that is extremely important for your overall health. It plays a vital role in maintaining the integrity of cell membranes in the body, which are essential for protecting cells and regulating the flow of nutrients into and out of the cells. Also, when your body breaks down fat and cholesterol it produces bile salts, which are needed to produce important steroid hormones like cortisol, progesterone, DHEA, testosterone, estrogens and even vitamin D.
Despite research that suggests nearly 75% of people admitted to hospitals across the United States for heart disease have cholesterol levels within target range, the conventional approach to reducing heart attacks and strokes is typically centered around pharmaceutical drugs that lower cholesterol. A specific class of drugs known as statins leads the way in this battle. You probably know them as Crestor, Lipitor, Pravachol, Zocor, Altoprev, and others. So what do they do? As mentioned before, cholesterol is primarily produced in the liver and your body uses a specific enzyme, HMG-CoA reductase, to produce it. Statins work by blocking this enzyme, which significantly reduces cholesterol production in the liver and lowers cholesterol levels in the blood. And these are the stats on patients who already had heart disease or suffered from a stroke. The benefits of statins in people without known cardiovascular disease are even lower. Other studies suggest as many as 18% of people (likely an underestimate) who take statins develop undesirable side effects that include: memory loss, sexual dysfunction, immunosuppression, liver dysfunction, and anemia. Statins also block the production of CoQ10 because the enzyme that statins block is also key to the production of CoQ10. CoQ10 is an enzyme with a variety of purposes, including acting as an antioxidant and a key player in cellular energy production. 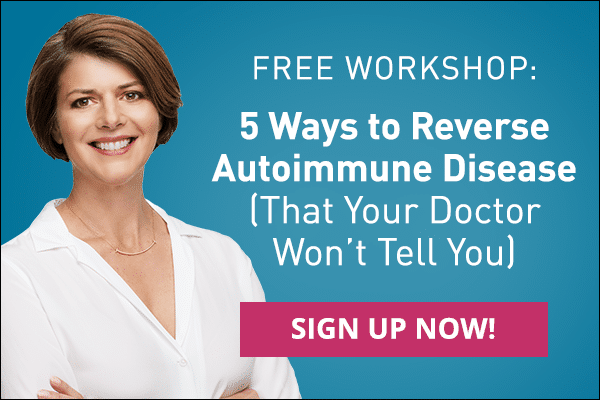 Decreased CoQ10 levels can result in the muscle damage the studies found, as well as a whole host of unpleasant and potentially dangerous side effects. These are important details to take into consideration before being pressured by your doctor to start statin therapy. As I mentioned in my previous blog post, I am not an extremist and I do believe there is a select group of individuals that can and would benefit from statin therapy. With that being said, it is also important to be educated on the track record and effectiveness of the drugs, along with their risks. Each person has a unique situation that needs to be explored in its entirety before the decision is made to either jump right to a statin, or avoid them altogether. When your doctor orders a basic cholesterol panel you are getting an incomplete picture of cardiovascular risk. To understand why this is, you need to know what is being measured. Total cholesterol is a combination of all low density lipoprotein (LDL) particles “bad cholesterol”, high density lipoprotein (HDL) particles “good cholesterol” and a percentage of the total triglycerides “blood fat”. The problem with this terminology is not all “bad cholesterol” is actually bad and not all “good cholesterol” is good. What are lipoproteins? Lipoproteins transport molecules that carry cholesterol and triglycerides throughout your body. There are four primary classes of lipoproteins each with a different proportion of cholesterol and triglycerides, and each with a different job. They are classified by density, the lower the density the higher their content of fat. HDL transports cholesterol from tissues back to liver for removal. To make cholesterol even more complicated, there are a variety of different sizes within each particle class. A standard cholesterol panel measures the total LDL and HDL particles but does not distinguish the size of the lipoprotein, which is very important when evaluating risk. When there are more small LDL and VLDL particles, as opposed to the big fluffy particles, the chance for CVD is higher. These small particles have the ability to sneak through cracks in the endothelium (blood vessel walls) contributing to plaque buildup in your artery walls. The small LDL particles are also more prone to oxidization which was previously discussed as a major contributor or inflammation and vascular damage. Even HDL (“good cholesterol”) can be misleading as there are subtypes of these particles as well. Having high levels of HDL particles does not ensure that all of the particles are beneficial as they too can become dysfunctional. When evaluating total cholesterol, the scenario that I believe is the most dangerous is actually a cholesterol level that is too low; a term known as hypolipidemia. When your total cholesterol is less than 150mg/dl there is not enough cholesterol available for the production of hormones and bile, the maintenance of cell membranes, among many other vital functions. Interestingly enough, this lack of cholesterol can increase your risk for cardiovascular disease along with many other health related problems; not to mention the fact that you will just feel horrible. Alright, now that we’ve covered how sugar and cholesterol contribute to heart disease, let’s talk about the most accurate and effective lab testing for evaluating your risk. You can have your blood sugar levels checked through a basic blood test ordered by your regular doctor. But, keep in mind that most doctors don’t consider blood sugar a problem until you reach pre-diabetic or diabetic levels. In my opinion, there is no such thing as pre-diabetes. Research has clearly shown that whether you are pre-diabetic or a diabetic, your risk for CVD is still significantly higher than people with normal blood sugar levels. fasting C-peptide (marker of pancreatic beta cell function which is where insulin is produced) 0.5-1.5 ng/ml. As with all test results you never want to react off of one value by itself, you have to look at trends and other similar markers to understand the true story behind what is happening. It is not uncommon to see Hemoglobin A1c levels slightly elevated despite other labs being completely normal and diets that are optimal. Although this could be the result of stress or inflammation, some people have red blood cells that are not completely normal, which makes the test inaccurate. If you are in the scenario where your doctor is giving you a hard time about your hemoglobin A1c but you know your diet is pristine, have your doctor run what is called a fructosamine level. Instead of a 3-month average of blood sugar, which is what a Hemoglobin A1c measures, a fructosamine level represents a blood sugar level over the last 2-3 weeks and can be a very useful marker when trying to evaluate short term progress or the accuracy of a Hemoglobin A1c. In our clinic, rather than relying on a basic cholesterol panel, I utilize advanced lipid testing through a company called Cleveland Heart Laboratory, which I have found to be very useful. Their panel breaks down lipoprotein particles to evaluate their size and subclass, which helps determine if particles that are elevated are problematic. This test also evaluates markers of inflammation, oxidative stress, and endothelial dysfunction, which gives you a much better overall understanding of where your stand with cardiovascular risk. If you have a family history of heart disease, or are interested in knowing whether or not your cholesterol truly is problematic, I would highly recommend advanced lipid testing. Another test I find very useful for CVD prevention and treatment is a comprehensive nutrition panel, because nutritional deficiencies often times play a major role in development and progression of acute and chronic illnesses. The test we use at the clinic is performed through Genova Laboratory and it is called the ION panel. The first section of the ION panel evaluates the level of fuel present including: amino acids, vitamins, minerals, antioxidants, heavy metals, and fats. Amino acids play a major role in the regulation and performance of blood vessels, and deficiencies can lead to low blood pressure, high blood pressure, and even endothelial dysfunction. They also contribute to detoxification, antioxidant production and immune regulation, all of which are essential for reducing risks associated with CVD. The ION panel also measures key nutrients for heart health including magnesium, potassium, calcium, and vitamin D. It evaluates several antioxidants like vitamin E, beta-carotene, and CoQ10, which are all utilized to manage oxidative stress. The last section of the ION panel is a urine Organic Acids Test (OAT) that not only looks at deficiencies, but also evaluates how efficiently your body turns proteins, carbohydrates, and fats into energy. My goal with this testing section is to demonstrate that there are a variety of tools to evaluate your CVD risk, beyond just a basic cholesterol panel. In many cases, CVD risk can be significantly reduced without pharmaceutical intervention through nutritional balance and lifestyle modification. Unfortunately, the short 10-minute doctor’s appointments in our current medical system simply do not allow for proper education or explanation of CVD risk reduction and treatment strategies. I hope this article gives you some insight on just how complex CVD can be and the fact that it is never corrected by simply taking one pill or performing one intervention. To truly get to the root of CVD, each person needs to be evaluated and treated as an individual, based on their specific set of risks and circumstances. As I explain to all my patients, to achieve a state of optimal health you must be your own best advocate. Ask questions, research the answers, and then ask more questions! There is so much to discuss about CVD I could go on forever! I truly appreciate your time and I hope you found these articles to be informative. Please let us know in the comments below if you are interested in future posts related to heart health, or if you would like to schedule an appointment to evaluate and minimize your CVD risk.